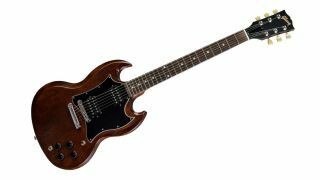 The SG is one of rock’s definitive guitar outlines, and you can secure a superb price on a bona fide Gibson SG Faded this Black Friday. Sam Ash is offering $150 off the SG Faded 2018, making it $839 - not a bad price for a USA-built instrument. Sure, Gibson’s 2019 is currently hitting stores, but the spec hasn’t changed much - this 2018 model features a pair of Gibson 490 pickups, SlimTaper neck with rosewood fingerboard, and mahogany body with faded gloss-nitro finish. If you’re in the market for a real-deal SG, you won’t find cheaper than this.